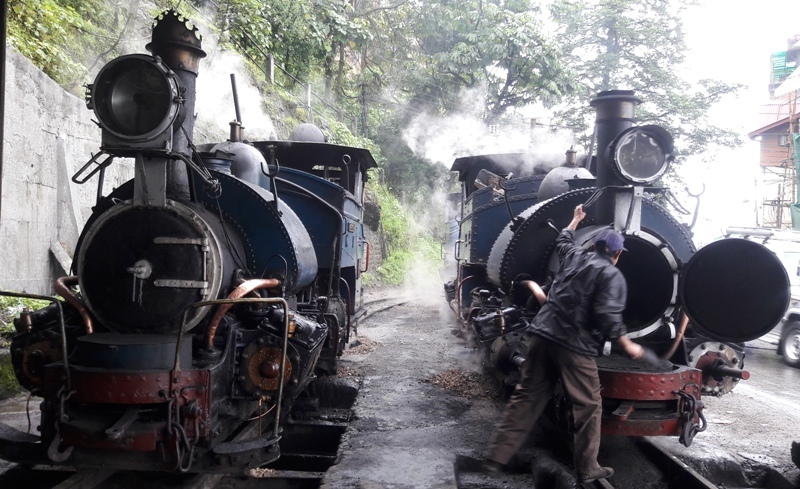 Darjeeling Railway is well known as heritage side declare by UNESCO in 1999. This is listed as the Mountain Railways of India which runs from New Jalpaiguri station to Darjeeling covering distance 78 kms. This journey starts from NJP via Kurseong and Ghoom along the way it offers breathtaking views of the mountains, valleys, forests, tea gardens and local villages all the way to Darjeeling station. There are 2 types of toy train runs from Darjeeling, one is Diesel engine which is from Darjeeling to Ghoom and from Ghoom to Darjeeling it about 7 km joy rides. Another one is Diesel engine that operates from and to NJP station to Darjeeling. Welcome to everyone and enjoy our heritage toy train trip along the city tour! !